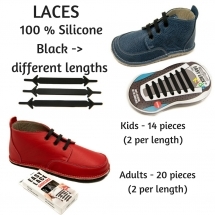 These shoes will take the shape of the feet of your child. 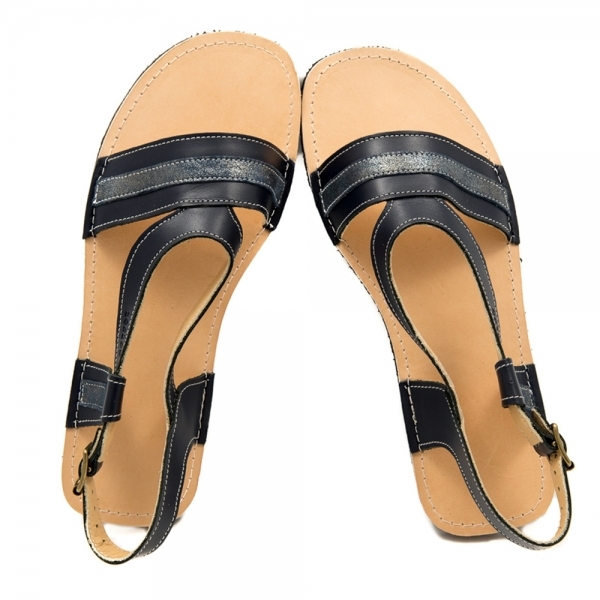 They feature a light, flat and elastic sole with good cohesion and durability. Manufactured solely from genuine leather with no hard and tightening elements. They have a genuine leather lining for better insulation and durability of the shoes. Leather boots with a natural wool lining or sheepskin and leather. The sole is wight-leight, extremely flexible and thin. Suitable for children from 10 months to 8 y.o. Sizes EU 20 - EU 30/31. Hand made of genuine sheepskin leather. Appropriate for cold dry weather. 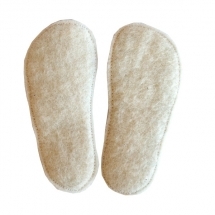 Woolen fabric (front) and leather (back), no glue, no arch support.